Hello guys! Two days to go before Christmas and I'm feeling the Holiday slump. I'm also slowly packing on the pounds. I'm trying to combat the extra calories with lots and lots of shopping. Passing 5 hours just walking around the mall is easy peasy especially if you see a lot of bargains and sales. 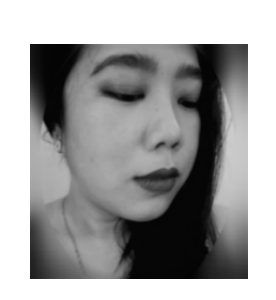 I had my eyes on the Revlon Super Lustrous Lipgloss for a while now but couldn't justify the Php 350 price for "just" lip gloss. 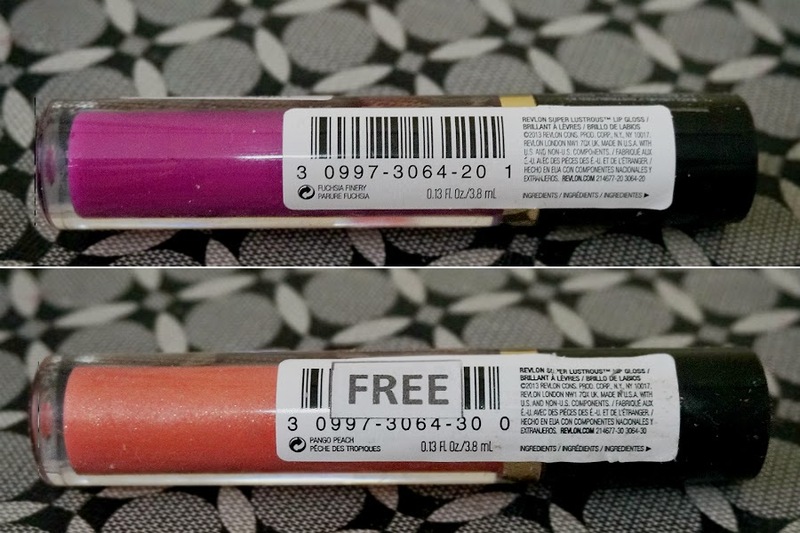 Last weekend, these glosses were e on BOGO (Buy One, Get One) so I grabbed a couple. 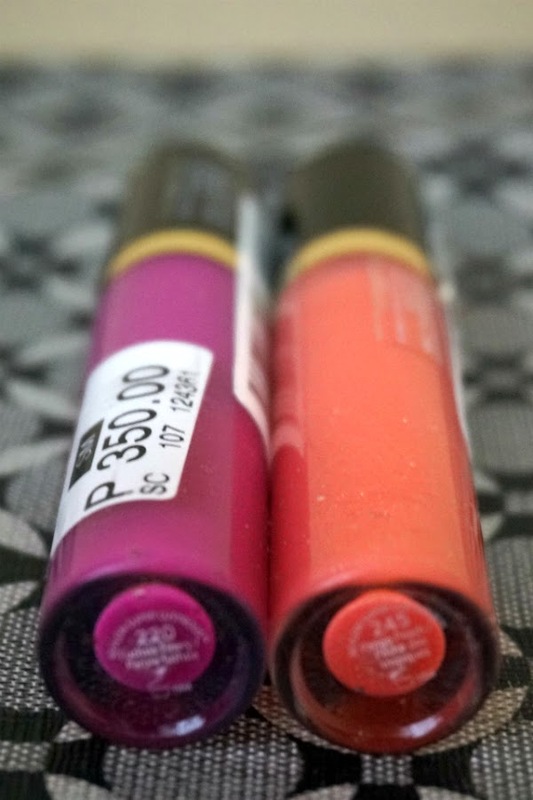 I got two shades, Fuchsia Finery and Pango Peach. Fuchsia Finery - is a medium bubblegum berry-pink with blue undertones. 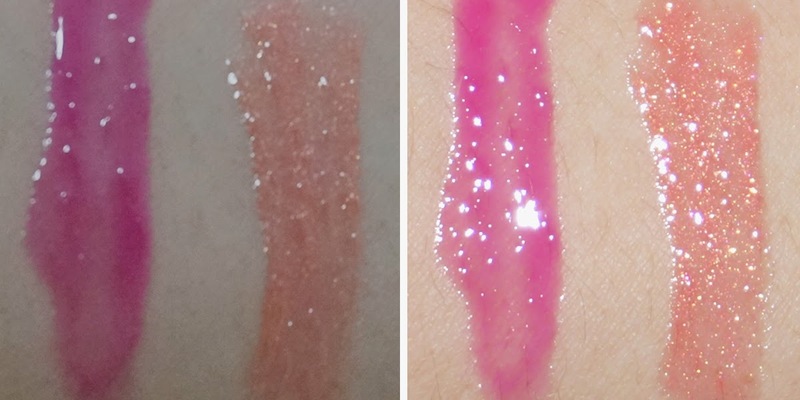 This shade has no detectable shimmers on it. Pigmentation is a let down as I wanted a more opaque color than this provided. Application was also bit tricky and uneven. Pango Peach is a soft, shimmery pink-peach with warm undertones. The golden shimmers are small and not gritty so you still get an even application. Coverage is semi-sheer. 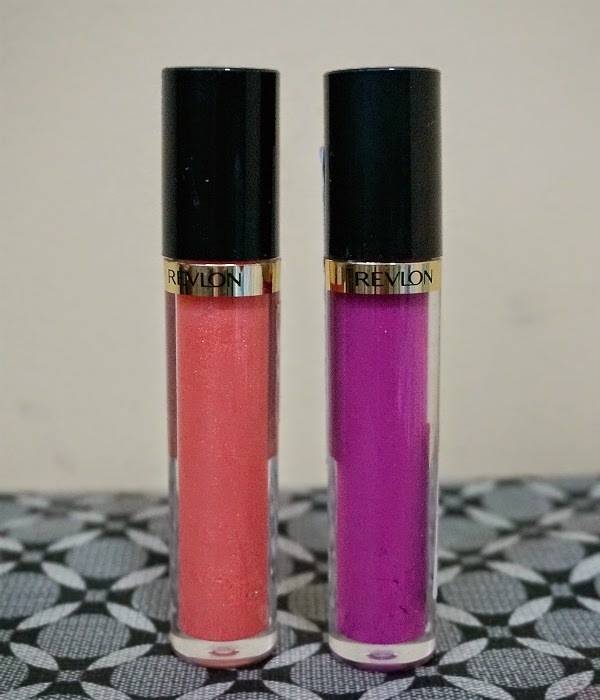 First Impressions: Revlon Super Lustrous Lip Gloss does a good job of delivering extra shine and pigment payoff without being sticky nor tacky. 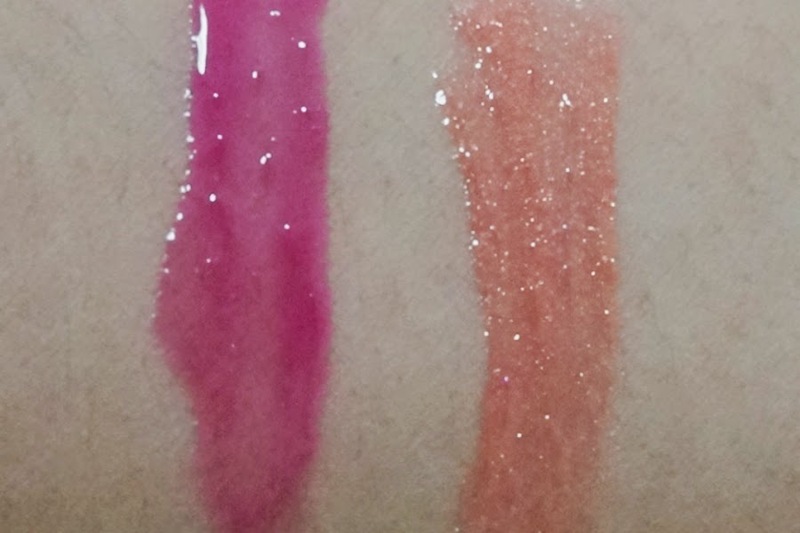 The formula felt light on the lips and was very comfortable on the lips. 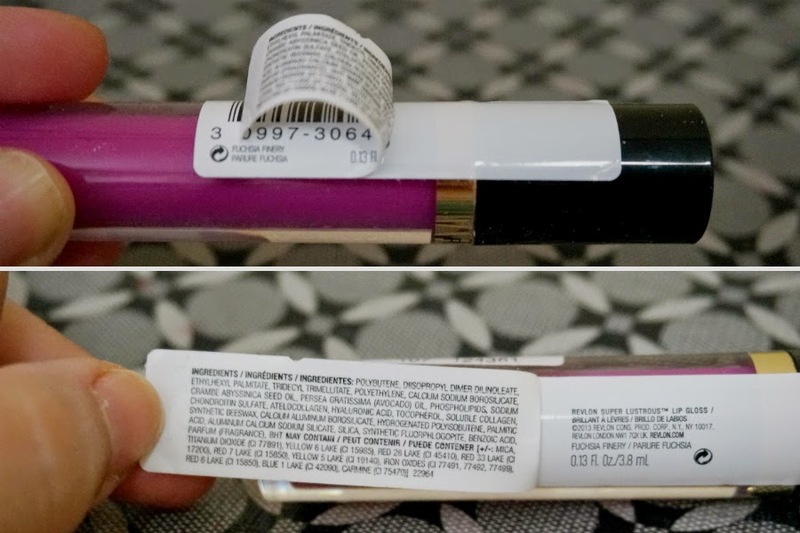 The colors are not as opaque as I would like (vs. my favorite Rimmel Treasure Hunt). Fuchsia Finery gave a uneven look to lips despite it being so pigmented and beautiful on the tube. Longevity is also an issue as this did not last long on m lips.